Introducing a line of Faux Cigar Pens from DeLuca ink. This macassar ebony version features Rhodium plating, and a matte wood finish. Ash section hand carved from a solid piece of buckeye burl. Features pre "cut" end with macassar ebony shaving "tobacco'" Screw cap style. Macassar Ebony has a dramatic striped appearance. Light to reddish brown stripes with darker brown or black body. Pick your Band! We have a vast selection that we have collected over the last year. Let us know what your preferred band would be, and we will see what we can make happen for you! Otherwise you are welcome to send us your favorite band and we can attach it for you! If no band is specified, it will be shipped as it appears in the photos. 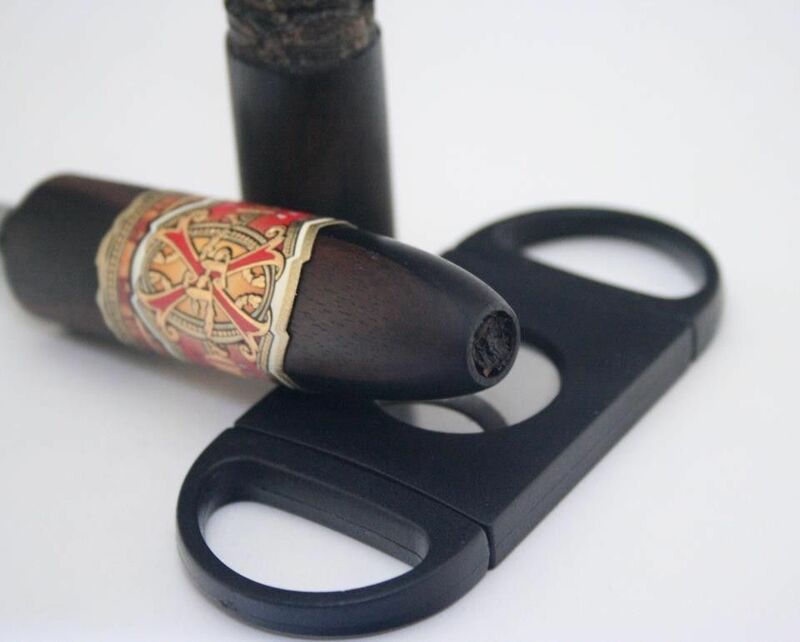 Can be made from any type of wood to resemble any size, and/or style of cigar.